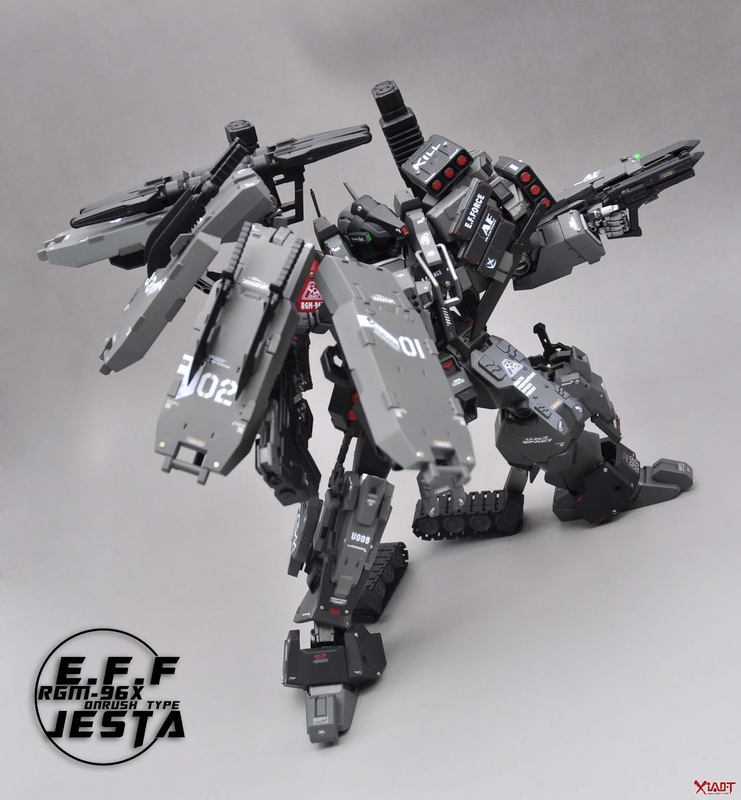 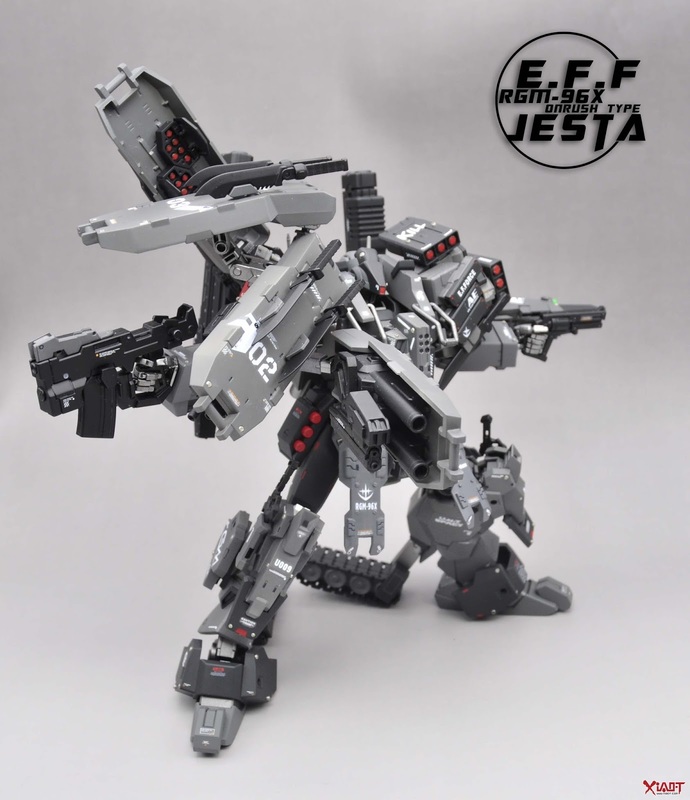 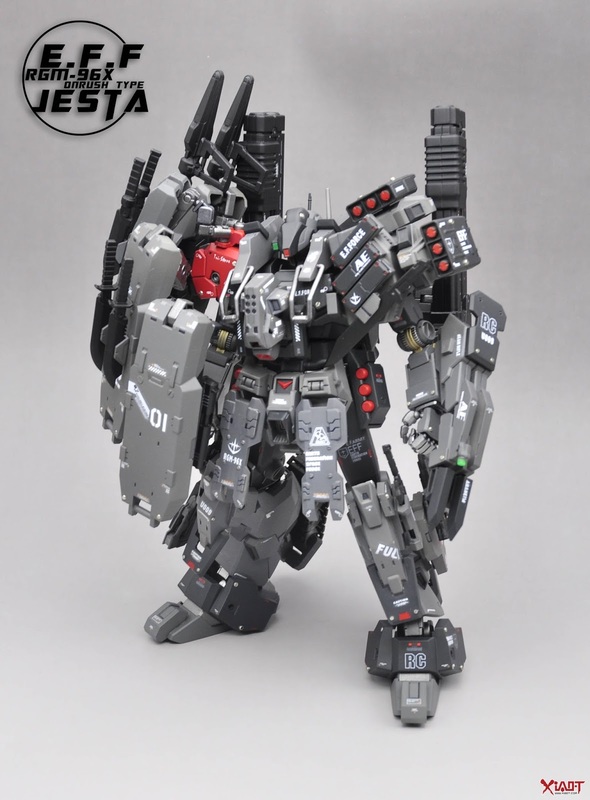 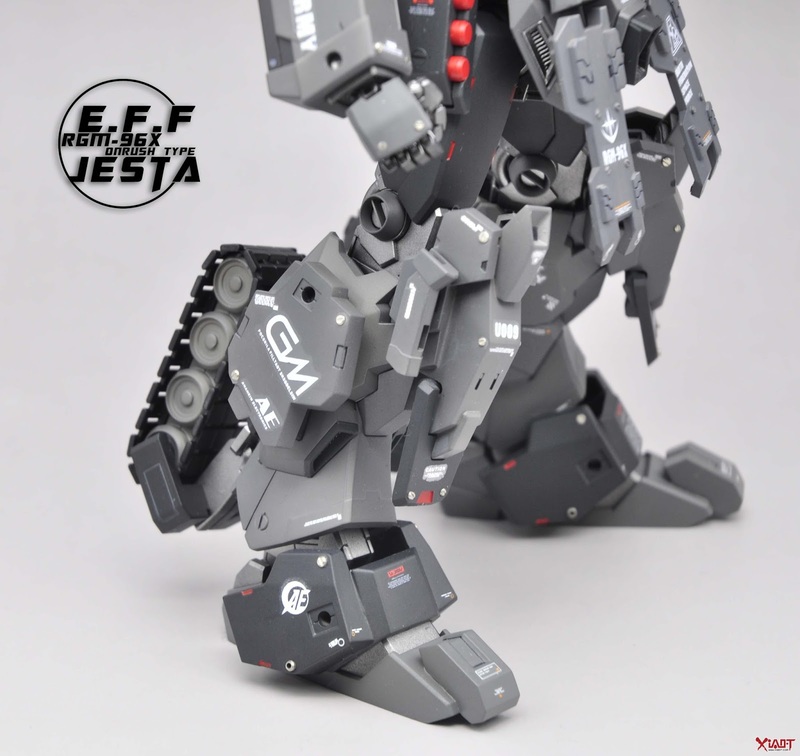 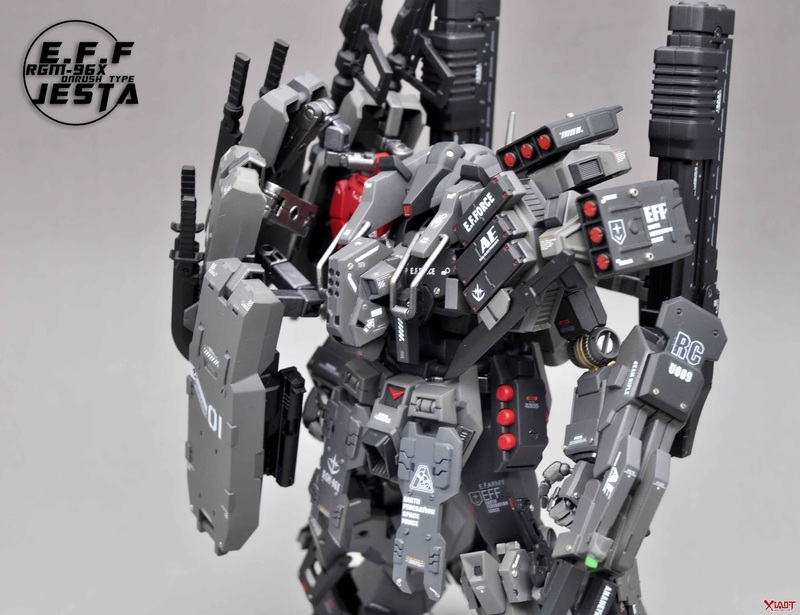 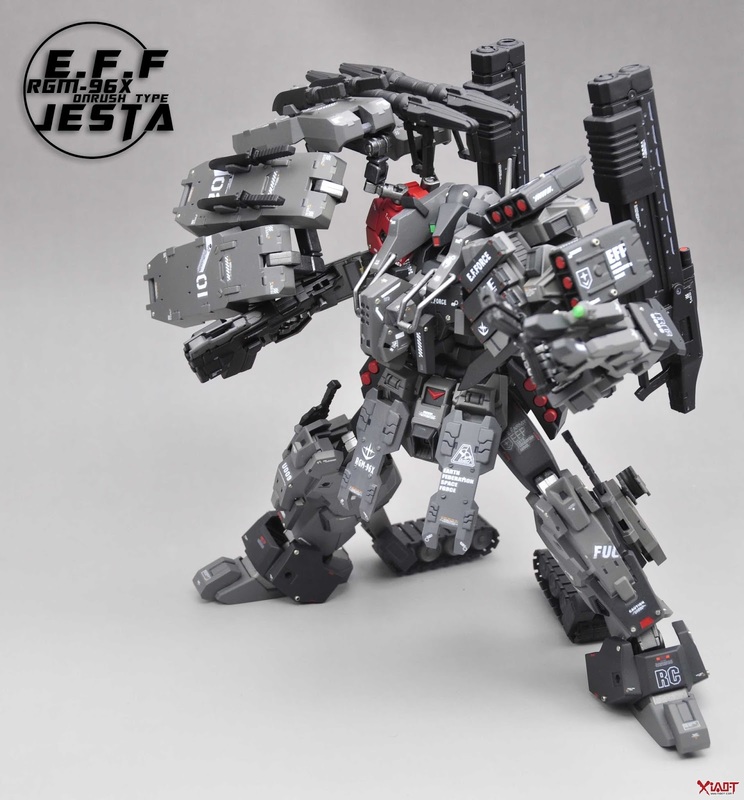 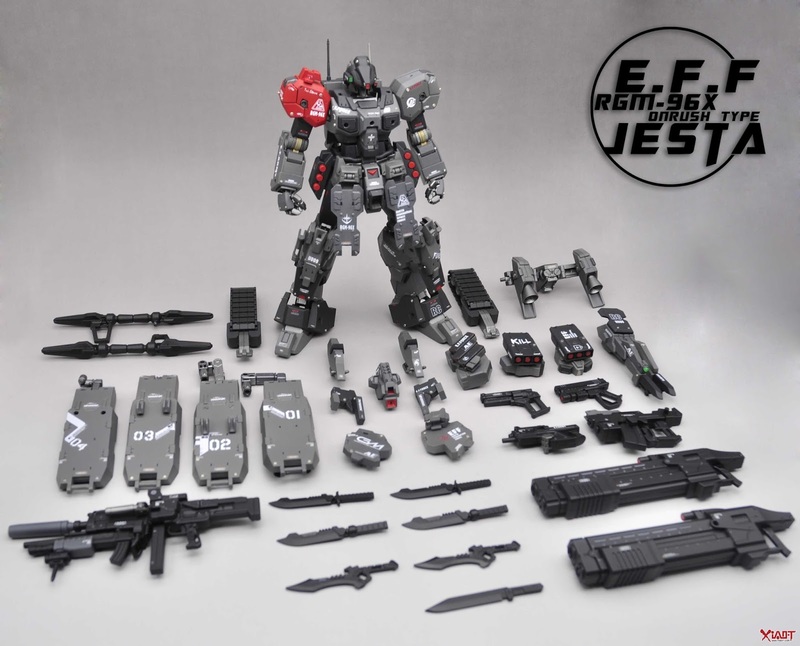 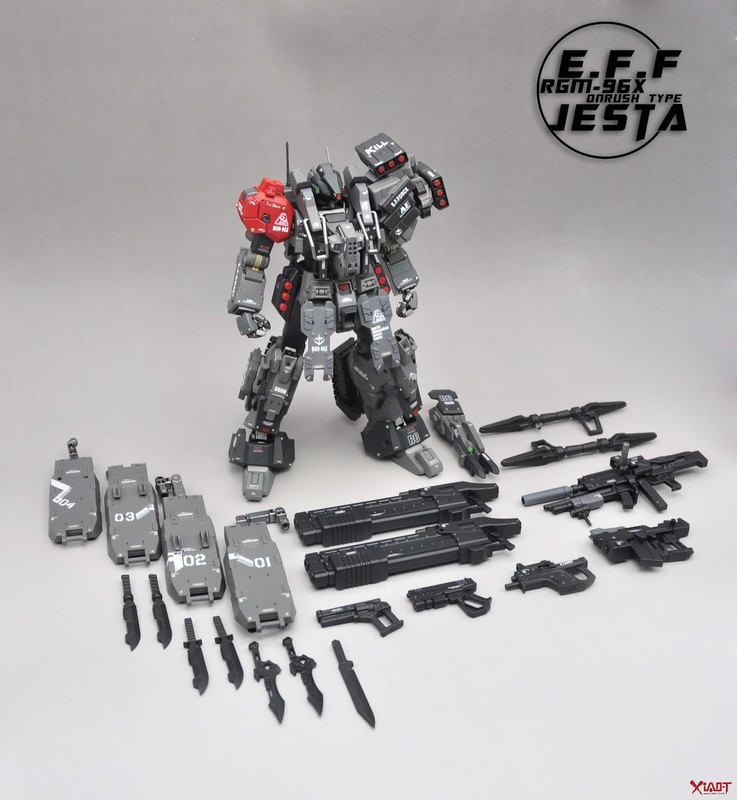 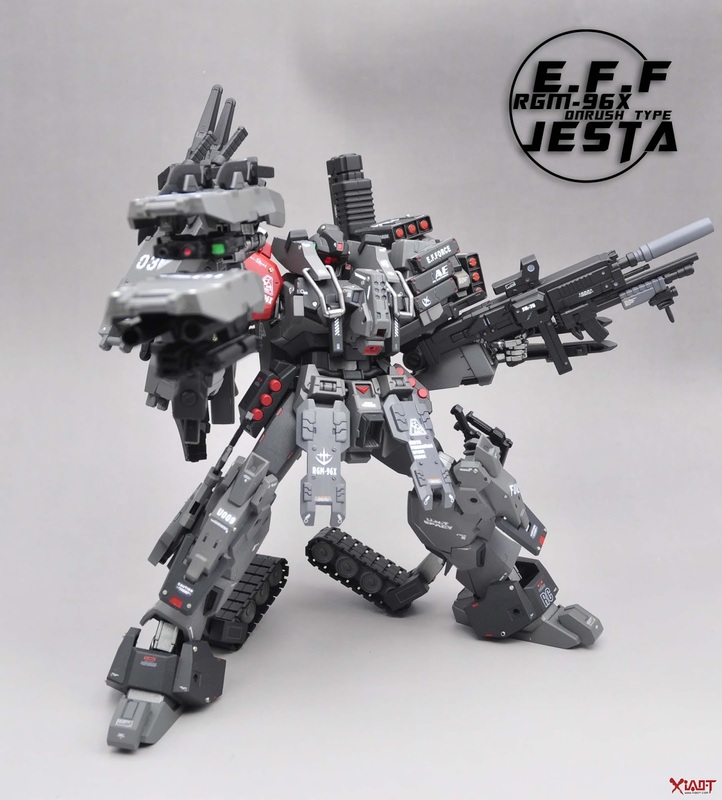 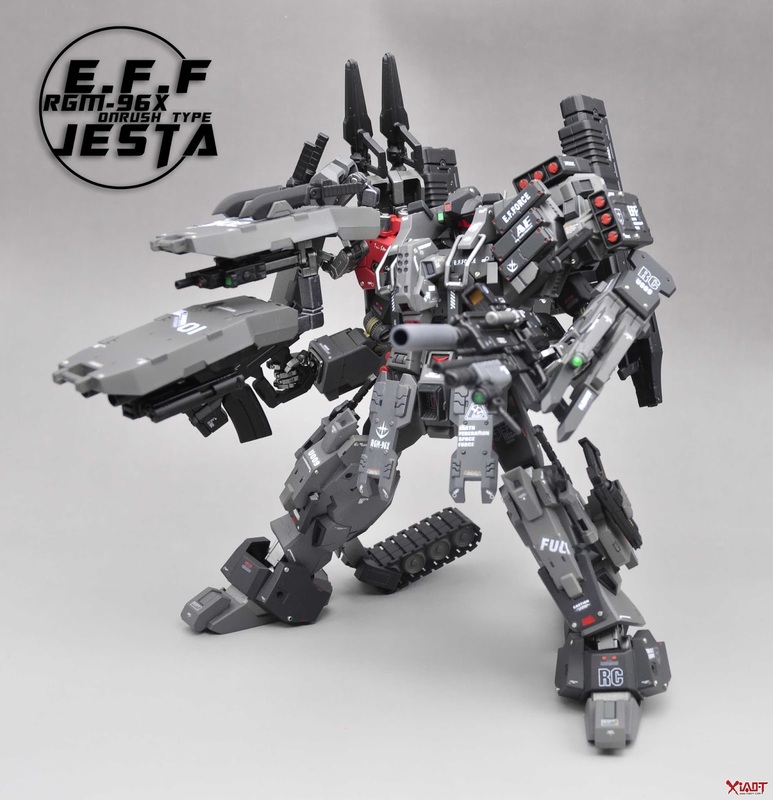 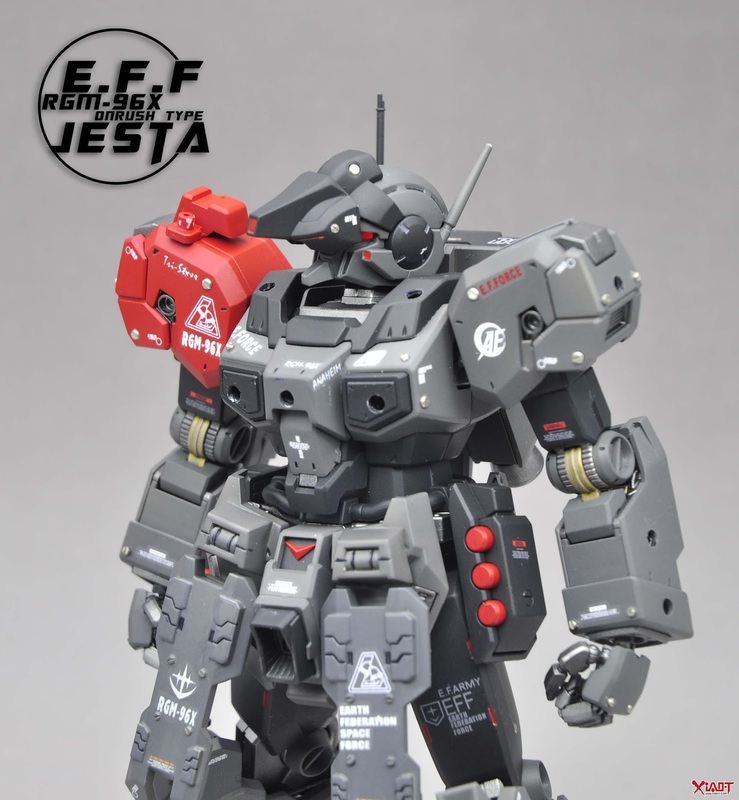 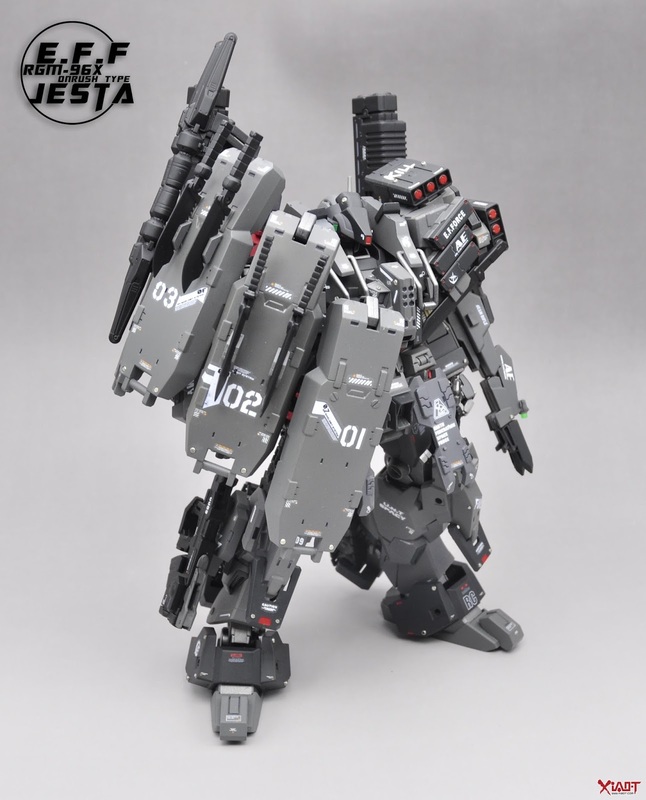 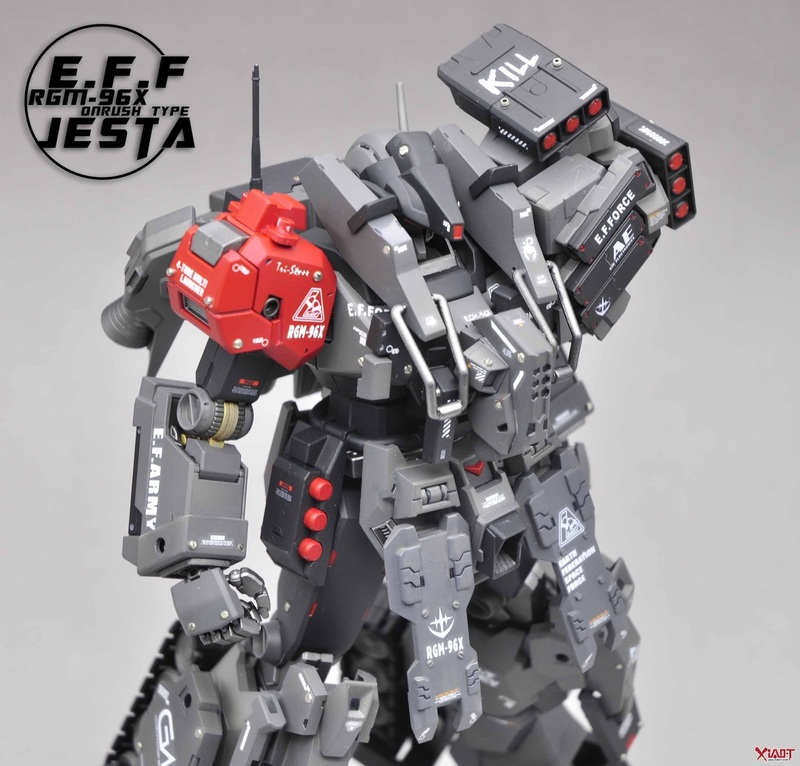 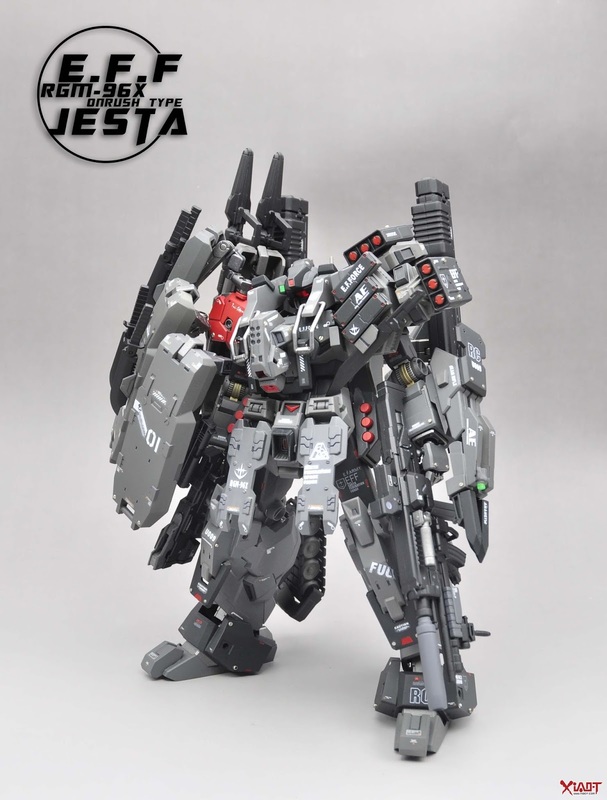 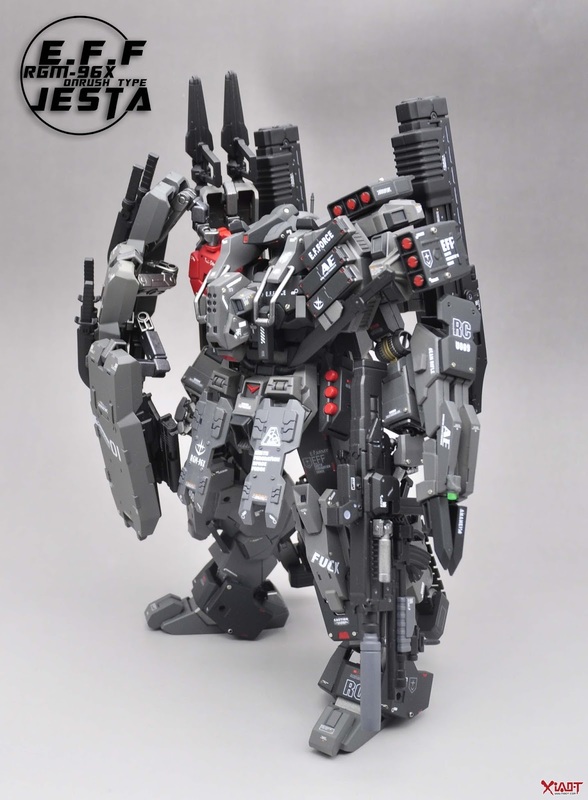 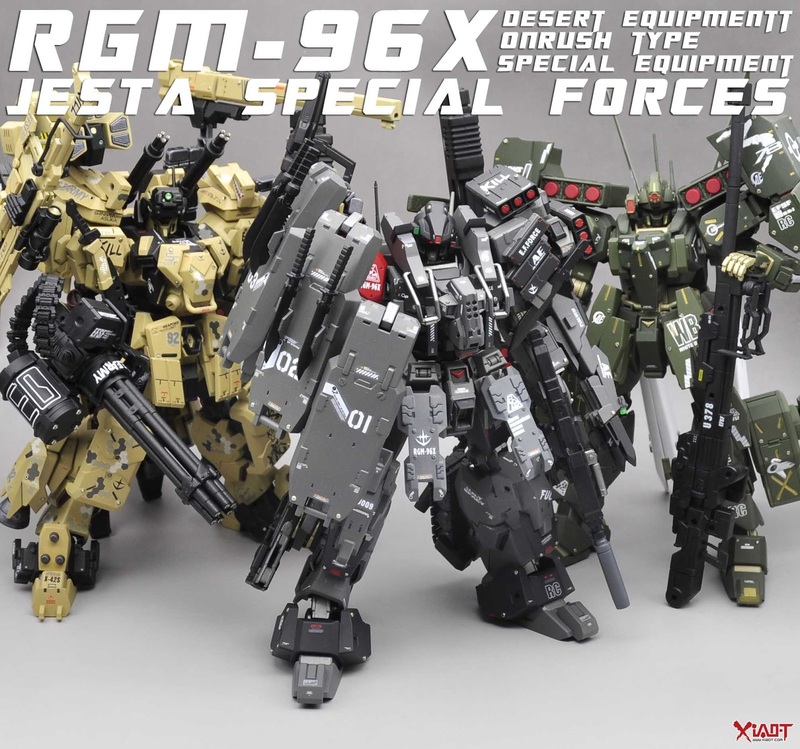 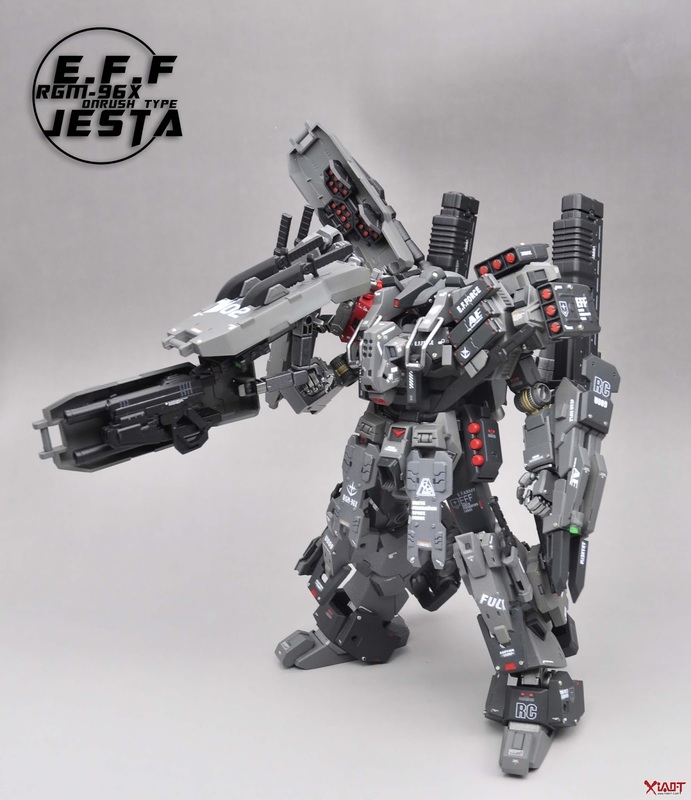 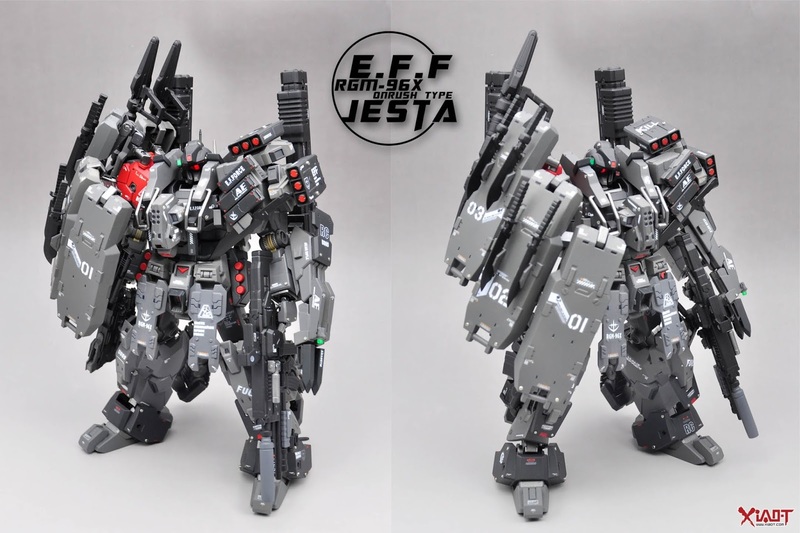 Home / Featured / Custom Build: MG 1/100 Jesta "ONRUSH TYPE"
Custom Build: MG 1/100 Jesta "ONRUSH TYPE"
i would absolutely love fully detailed specs on this badboy! 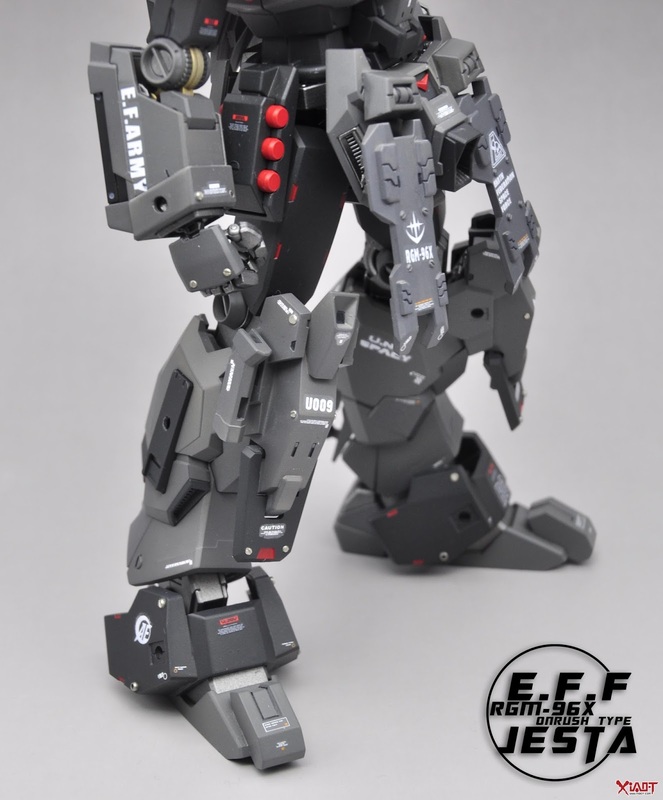 Absolutely incredible quality, as well as dedication to have made three different equipment/paint types. 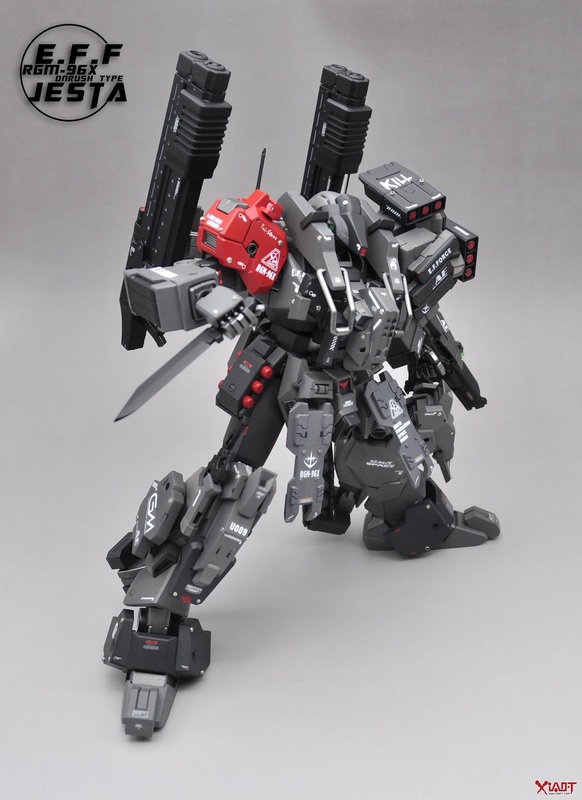 Just a little too much going on for my taste and almost for my eye to even take in - would be easier to appreciate in person, perhaps. 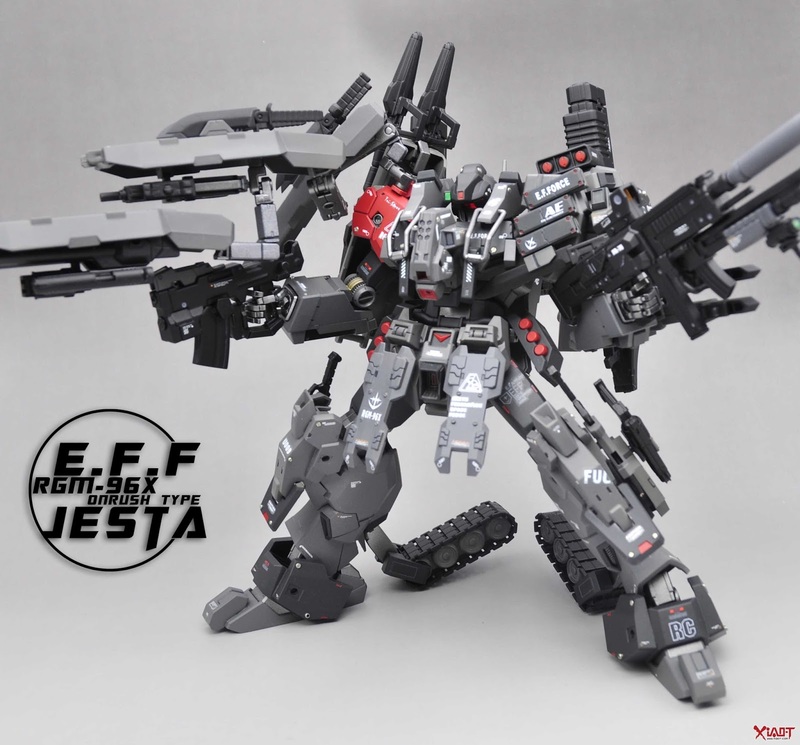 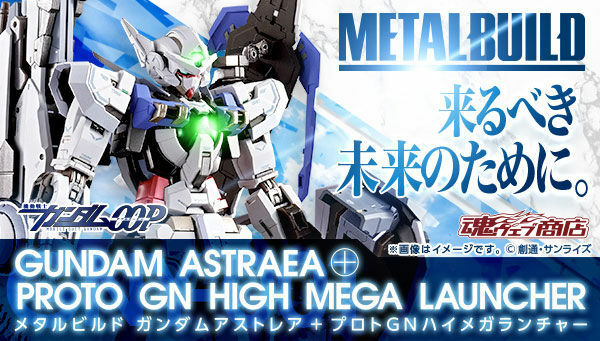 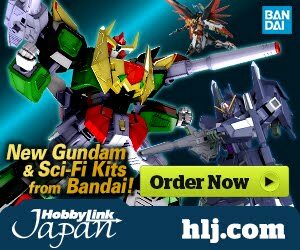 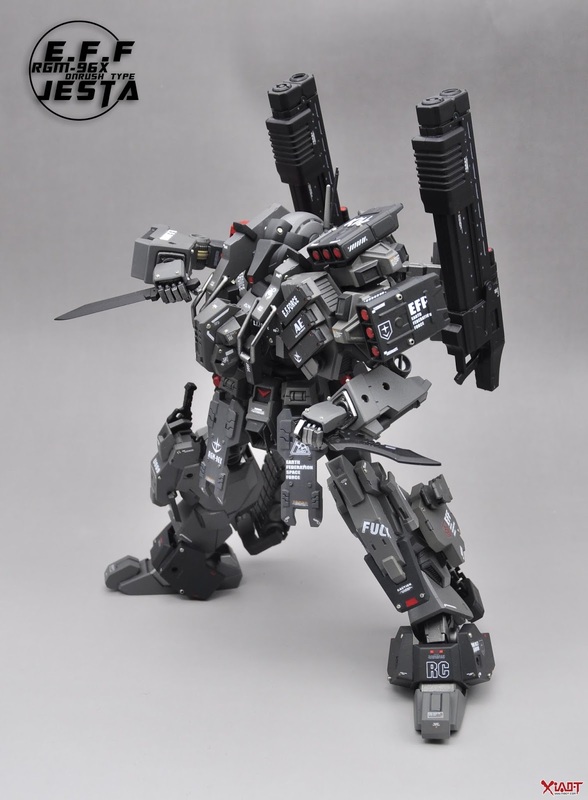 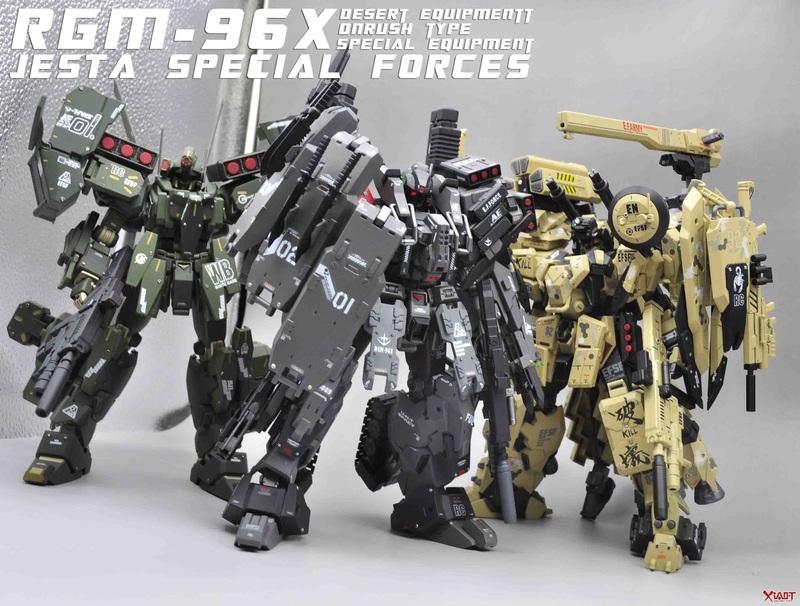 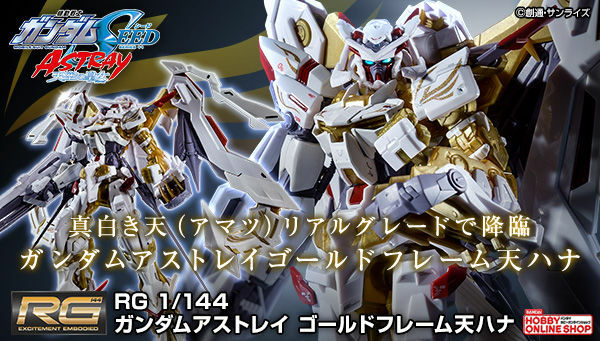 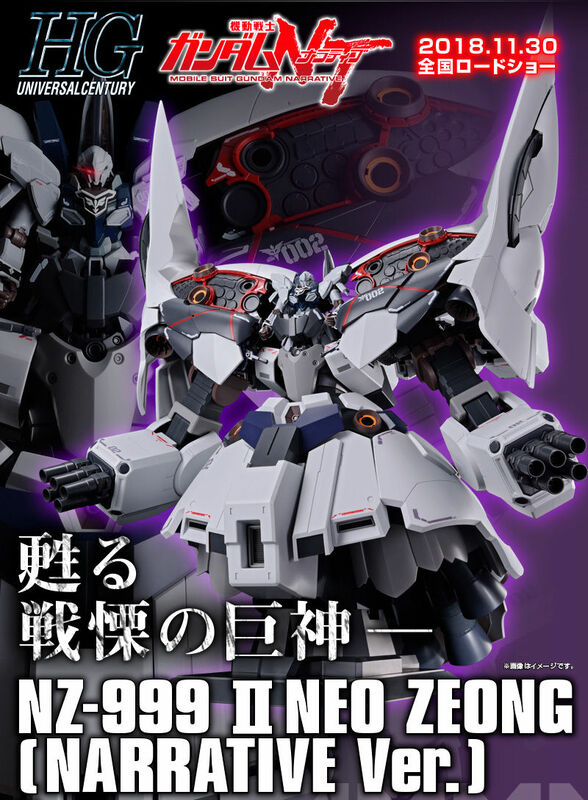 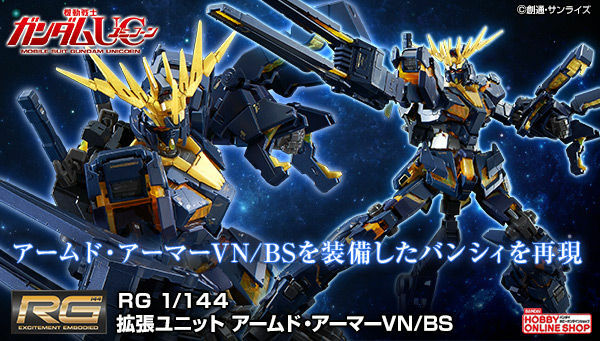 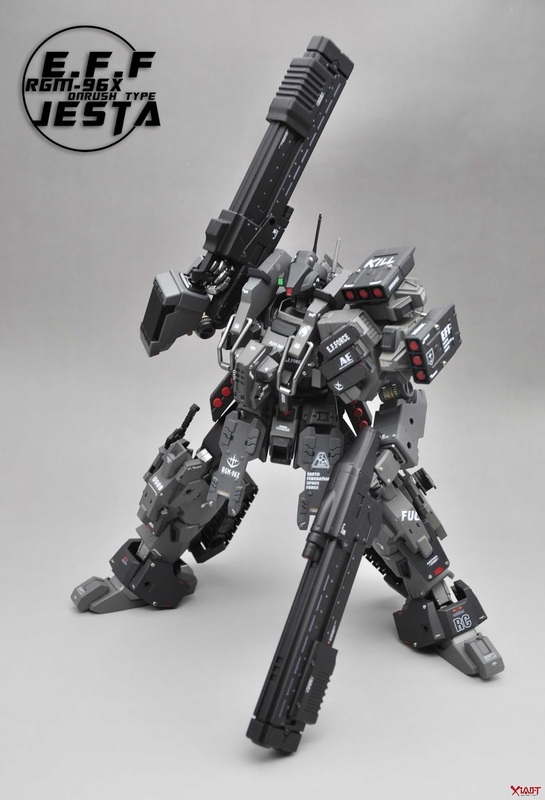 kinda falls into a little too much territory but its cool.. nice weapons i can see AC looking weapons and kotobukiya MSGs.